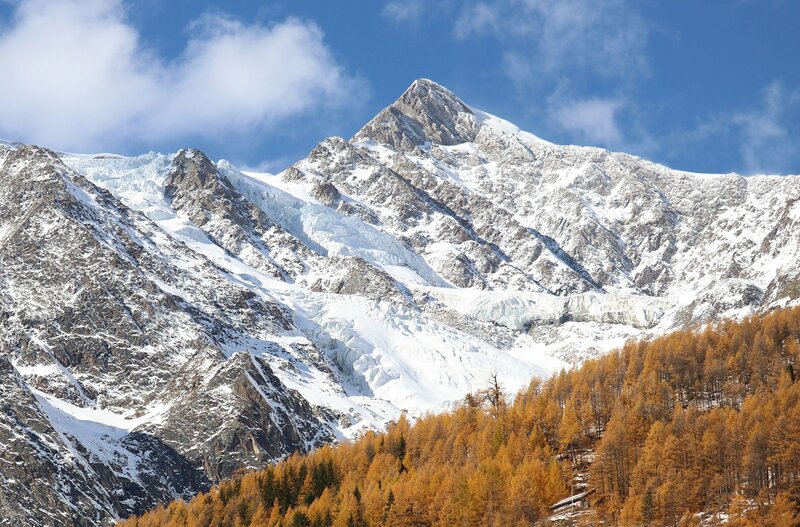 Saas Fee, in the Canton of Valais, is one of Switzerland's great mountain sport centers, well known amongst not only skiers but also mountaineers, rock climbers, ice climbers, mountain bikers and paragliders. 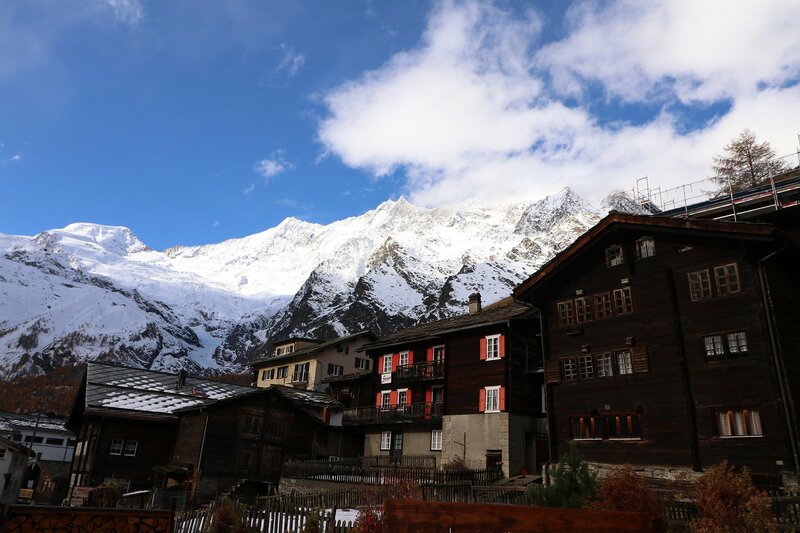 The village sits in a sunny hanging valley above the long, deep valley of Saas Tal, and below the stunning Allalinhorn (plus another ten or so 4000 meter peaks!). Right above the village are huge glaciers, and right below, villages, farms and vineyards basking in a Mediterranean climate. Around two thirds of the buildings in town are relatively modern, though local building code requires them to be built of at least 40% wood and designed to suit the traditional aesthetic of the settlement, and thus the old, (and sometimes very old) buildings in the village and surrounding fields are still prominent throughout. Prior to the 1950’s only footpaths reached Saas Fee, and when the road finally did come the inhabitants decided to halt motor vehicles outside the village boundary in an underground car park. To this day, the only motorised vehicles allowed in the village are small buses and taxis, which are all electric. 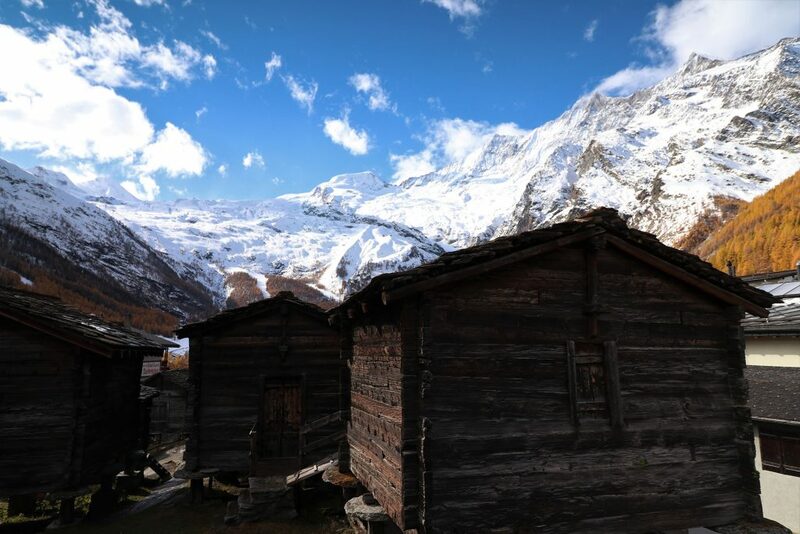 It’s all too easy to imagine living in Saas Fee... strolling to the bakery in the morning, going for a ski, maybe a beer or two afterwards, and then home in the silence of an alpine evening to sit and listen for the crumps and whumps of the glaciers not that far above. We have incorporated a day off into the program, in order to give people a chance to choose their own adventure. 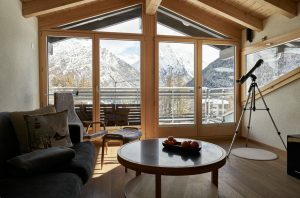 Options include a day trip to Zermatt, (with the chance to ski for those who don’t mind an early start), hiking in the valley, hiring a guide for a ski touring day up the Allalinhorn or similar day tour, and many other sporting or cultural exploration options. This camp is ideal for any intermediate to expert level skier, whether you want to masterfully carve groomers, slay slushy bumps, or train for that next level of instructor qualification. The Saas Fee ski area covers a huge vertical drop, from the village at 1800 meters right up to the top of the train at 3500 meters, the site of a revolving restaurant. 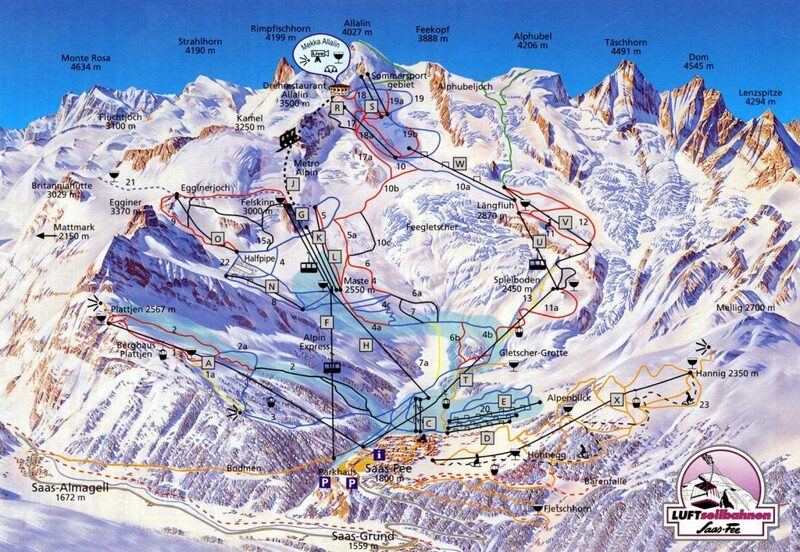 Some of the ski area is on glaciated terrain and from here the views of surrounding peaks and glaciers are stunning. The area has been used in film and television extensively, and was the setting for one of James Bond’s best known ski chases, in “On Her Majesty’s Secret Service”. Note* A non refundable deposit of $600 CAD will be required to confirm your space. Spaces are limited so don't procrastinate too long! Early Bird Discount... Save $150 on the listed price if you confirm your booking for this camp before December 31st, 2019. 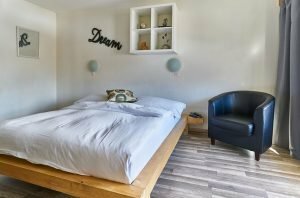 7 nights accommodation in the village of Saas Fee. Extra curricular activities on free day (if you don't want to go skiing). We will be staying in the Hotel Marmotte, a family owned hotel in a quiet but central location, just a few minutes walk of the old center of the village, and very close to a stop on the free skibus loop. 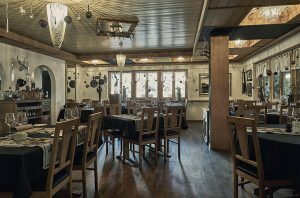 The hotel is in the local ‘chalet’ style, with a sauna, steam bath, and a pleasant restaurant which serves both modern and traditional meals. For more details please check out the hotel website. The schedule has been deliberately left fairly open and coaching will be tailored to the goals and desires of the individuals and groups. • 6:30pm - Meet up for dinner, drinks and introductions in the hotel restaurant. • 9:00am - We will meet outside the hotel for the first day to make sure everyone gets to the slopes. Once on the mountain we will discuss meeting areas for the remainder of the week. • 10:00am – 3:00pm – On snow coaching. Warm up day to get our sliding legs back and mountain orientation. • 4:00pm - ‘Apres ski‘ and/or video analysis. • 9:45am – Meet at main lodge meeting area on mountain (please feel free to head up the mountain ahead of this time to get a couple warm up runs in). • 10:00am – 3:00pm – On snow coaching with lunch break somewhere in the middle. 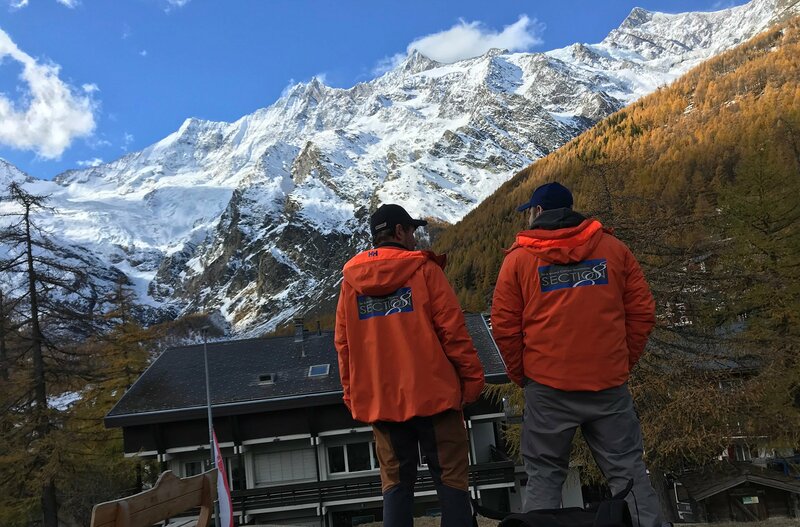 • Freeski day – No coaching is planned so just go and have some fun on the slopes... or if your legs are jelly, take a rest day and explore the many offerings of the Zermatt area. If flying, arriving in Geneva or Zurich makes most sense. Munich is also an option for those who are planning to explore more of the Alps eastwards into Austria. From Geneva or Zurich transfer is about 3 hours via train and bus, and is very simple. From Munich the process is more complex, but still doable. Please contact us for travel assistance if this is your intention.